For President Trump, they are bailouts for insurers. For millions of Americans, they are a lifeline to affordable health care coverage. Obamacare's cost-sharing subsidies are once again at the center of the battle for Obamacare's future. 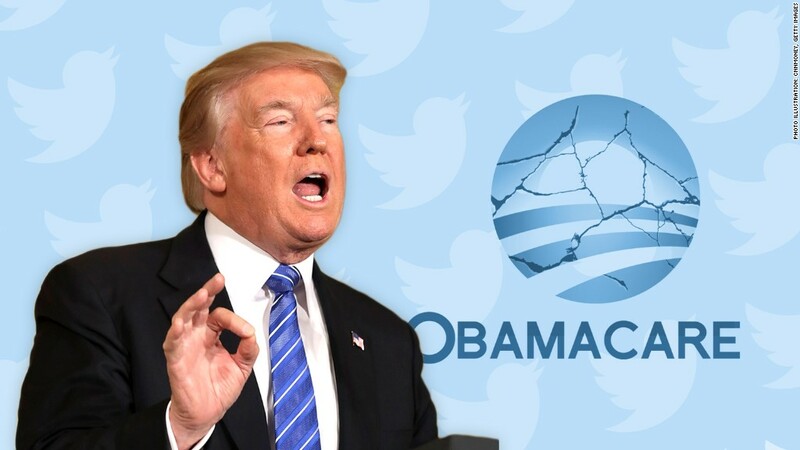 Trump is now using them as a bargaining chip to get the Senate to return to its Obamacare repeal effort. Earlier this year, he threatened to cut them off in hopes of forcing Democrats to come to the negotiating table. If Trump makes good on his threat to stop paying the subsidies, he would likely precipitate Obamacare's implosion. Insurers would probably flee the exchanges in 2018, if not before. That could leave millions of Americans without any options for subsidized coverage in the individual market. Insurers rely on the subsidies, technically cost-sharing reduction payments, to lower the deductibles and co-pays of single enrollees who earn less than $30,000 a year and families of four making roughly $61,000. They are separate from the premium subsidies that lower the monthly tab for coverage. Nearly 6 million enrollees, or 57%, qualify for the cost-sharing payments this year, according to the most recent data from the Department of Health & Human Services. Paid directly to insurers, the subsidies are expected to cost the federal government about $7 billion in 2017. They can make a big difference to Obamacare enrollees. For those just above the poverty line, the subsidies lower annual deductibles to an average of $255 a year, compared to $3,600 for a traditional silver plan. And these folks have to pay only an average of $941 a year out-of-pocket, compared to $6,528 for those who don't qualify. Those making closer to the upper income threshold get a roughly $700 discount annually on their deductibles, paying an average of $2,900. Their out-of-pocket limit is just over $5,200 a year, on average. Related: Repeal is dead (for now). But will Obamacare survive? While he can't change the law unilaterally, Trump does wield power over the subsidies. That's because they are at the center of an ongoing court battle, originally between Republicans in the House and the Obama administration. Seeking to bring down Obamacare, the House filed suit against then-Health Secretary Sylvia Burwell in 2014, arguing that the payments were illegal because Congress never appropriated the money. A district court judge last year ruled in favor of the House, finding the subsidies were illegal and must stop. However, she stayed her decision, and the Obama administration filed an appeal, which was inherited by the Trump administration this year. Though both the House and the White House are now run by Republicans, they have yet to resolve the case. The subsidies continue to be paid on a monthly basis while GOP lawmakers and Trump officials work out a settlement. This does not sit well with insurers, who are growing increasingly antsy over the uncertainty Washington has created around the Affordable Care Act. Trump and some administration officials have said at various points this year that they will cut off the payments, ignoring the requests of insurers, health care providers, governors and others to guarantee that the payments will be made for the time being. Insurers, meanwhile, are taking steps to protect themselves. They would have to raise premiums by about 19% on average to compensate for the loss of the payments, the Kaiser Family Foundation estimates. Many are asking for hefty hikes for 2018. Blue Cross and Blue Shield of North Carolina, for instance, is requesting a rate increase of nearly 23% for next year. But it said it would have only asked for an 8.8% bump if Trump and House Republicans agreed to fund the Obamacare cost-sharing subsidies through 2018. Other carriers no longer want to deal with the volatility and are deciding to walk away from the individual market. Anthem (ANTX), Aetna (AET), Humana (HUM) and other insurers have reduced their footprint or have exited completely. Anthem, which has already announced it will withdraw from three of its 14 states next year, said last week that it needs more predictability, particularly on the subsidies. The insurer, one of the largest on the exchanges, has 1.5 million enrollees in Obamacare plans. "If we aren't able to gain certainty on some of these items quickly, we do expect that we will need to revise our rate filings to further narrow our level of participation," Anthem CEO Joseph Swedish said in an earnings call.